We’re absolutely delighted and deeply honoured to announce that Mindjammer – The Roleplaying Game won the Griffie Award for Best Roleplaying Game at the Conpulsion 2014 convention in Edinburgh last weekend. From among a very competitive field (13th Age, Hillfolk, Numenera, Rocket Age, Blood and Smoke), the convention attendees voted for Mindjammer – The Roleplaying Game as Best RPG, which was awarded to Mindjammer writer Sarah Newton during the Closing Ceremony at 7pm on Sunday 27th April. We’d like to thank all the convention attendees for voting for us, and the committee, blue shirts, and organisers of Conpulsion for a great convention, and for making the launch of Mindjammer – The Roleplaying Game such a memorable event – and congratulations to all the nominees in a very strong field! Thanks too to all of the many Mindjammer fans who’ve supported the setting over the years, and who’ve preordered and ordered the brand new second edition of the game, available for order now and appearing in your friendly local game store in May. Creating a roleplaying game is never a solo effort. 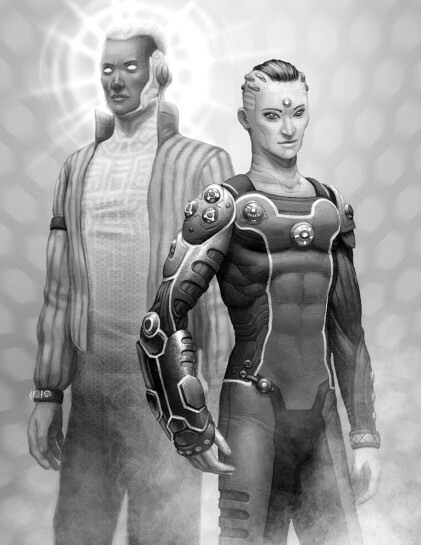 We’d like to thank Michal Cross for his gorgeous layout work on Mindjammer; Jason Juta, Ian Stead, Paul Bourne, Andy Wintrip, Andreas Schroth, Eric Lofgren, Fil Kearney, Earl Geier, Marco Morte, and Jeff Ward for their wonderful art; the Mindjammer Working Group for their encouragement, feedback, playtesting and support; and Chris and Rita Birch of Modiphius Entertainment for their tireless work promoting and distributing the game; and of course Fred Hicks, Leonard Balsera, and Rob Donoghue and all the folks at Evil Hat Productions for creating Fate Core in the first place, and making Mindjammer – The Roleplaying Game possible. Mindjammer – The Roleplaying Game is available in 496-page hardback from Modiphius Entertainment, including a complementary PDF, and in PDF-only version from Modiphius, DriveThruRPG, and RPGNow. Find out more about the game at www.mindjammer.com. Mindjammer – The Roleplaying Game shipping now! Mindjammer Press and Modiphius Entertainment are delighted to announce that the physical version of Mindjammer – The Roleplaying Game is now shipping to customers. 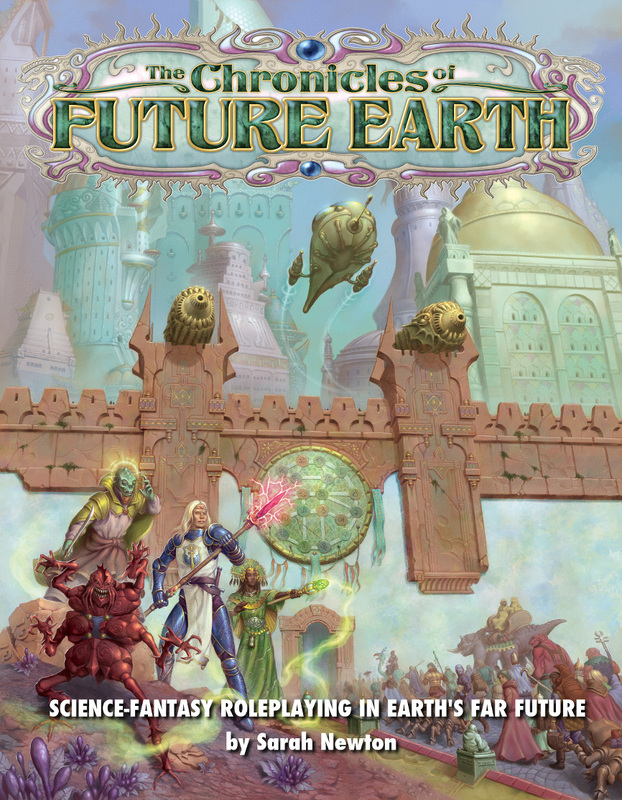 This 496-page hardback, a standalone far future transhuman science-fiction roleplaying game using the Fate Core System, is available for direct order from the Modiphius webstore (including a complementary PDF of the game), and also launches via distribution to hobby and game stores in May, where it will be participating in the Bits’n’Mortar initiative (meaning you’ll receive a complementary PDF when buying it in store also). If you’d just like the PDF version of the game, that’s also available from the Modiphius webstore and DriveThru / RPGNow. 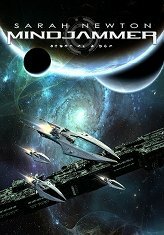 Mindjammer – The Roleplaying Game can be used to play in the New Commonality of Humankind, or as a complete and detailed transhuman space opera rules set for any science-fiction setting. — Review at Stargazer’s World, by Michael Wolf. — Review at the UK Roleplaying blog. 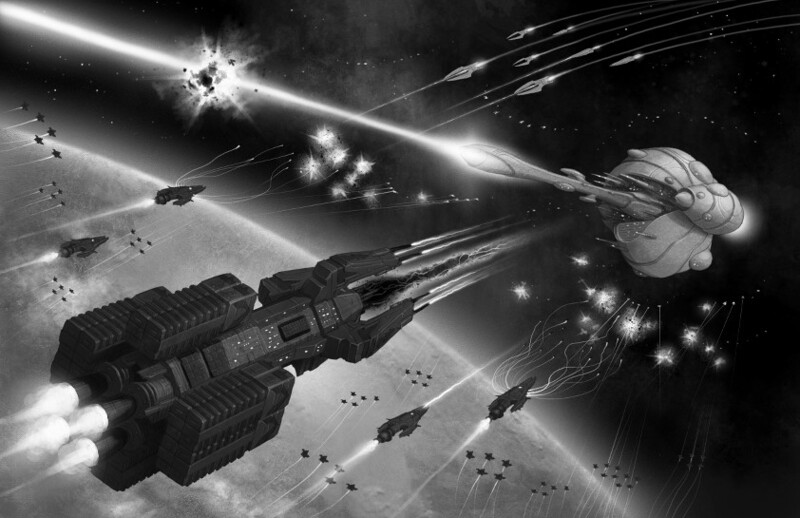 — Review of Mindjammer at The Game Knight Reviews. Mindjammer RPG Preorders: Updated PDF Now Available! The Thoughtcast Edition pre-release PDF of Mindjammer – The Roleplaying Game has now been updated to the final production PDF for all Mindjammer pre-order customers. Click here to place your pre-order of the 496-page hardback and download the PDF version today, or if you’re already a pre-order customer click here to login to your account and download the new updated PDF. If you placed your pre-order without creating an account, click here to email us your order details, and we’ll resend your order confirmation and download link! We’re also able to pin down the shipping date of the Mindjammer hardback now. Our printer informs us that we can expect to ship the 496-page hardback of Mindjammer – The Roleplaying Game from our warehouses on the 9th April, which means preorder customers should begin to receive copies from approximately Monday 14th April. The PDF and hardback versions of Mindjammer will also go on sale on the 9th April; all hardback orders will come bundled with a complementary PDF.